Saw in all driections, 360-degree cutting capability. No need to turn the workpiece. Bevel cut letters, and cut projects too large to turn. 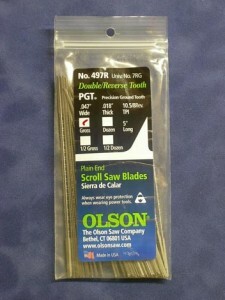 Price per gorss (12 dozen) pkg of 144 blades.